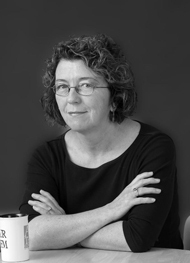 Blurb is a Verb: Memoirist Carolyn Roy-Bornstein asks: What Am I Doing? Memoirist Carolyn Roy-Bornstein asks: What Am I Doing? Carolyn Roy-Bornstein is a physician, a writer and a mom. 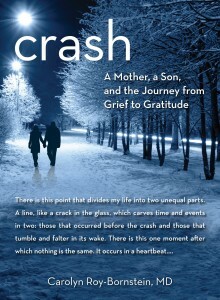 Her dramatic memoir Crash comes out in a few short weeks. Reading her post, made me realize that as tricky as publicizing one's fiction may be... a memoir comes with a host of thornier questions. Thank you for sharing this, Carolyn. --Sarah P.
Even as I secured an agent (or “achieved representation” as I’ve learned to say) and then landed a book deal, the doubts still lurked at the edges of my consciousness, ready to bring me to my knees. What if my editor rejected the final manuscript? What if she decided I can’t write after all? What if nobody buys my book? But I never thought I’d have one of my “what am I doing” moments while being interviewed for my first profile in a glossy magazine. Journalist Katie Lovett knocked at my door at exactly the appointed hour one unseasonably warm February day. She wore a short hot pink wool coat, a red Valentine pinned to her lapel. She looked astonishingly young, though I knew from reading her bio on-line that she had been at her current position for more than five years. She snapped her head up sharply when I opened the door, a tentative half-smile on her face. Was this the proper expression to present to a woman who has written a memoir of tragedy? I invited her in, offered her tea. We settled onto the couch, sipping our Constant Comments. She kept thanking me for allowing her into my home and sharing my story. I kept assuring her that the pleasure was all mine. I wanted to tell my story. That’s why I had written a memoir after all. Then the questions began. They started innocently enough. Benignly. Chronologically. I recounted for her the events of that night. I elaborated with details about my son’s relationship with his girlfriend, the one killed in the crash. But I still worried that maybe he doesn’t understand what it all means. I’ve published stories about him before for sure, but in specialized publications—medical journals for doctors like me and literary magazines geared towards mothers who write. I worried that once the book was out, read by neighbors and friends, that things would be different. That Neil would have second thoughts about being the subject of my memoir. Now as I faced Katie Lovett’s seemingly endless barrage of questions, I had another thought. Maybe it’s me who doesn’t understand what it all means. Maybe I’m the one who’s not ready for all this to be happening. Maybe I’ve been so busy worrying about protecting Neil that I ended up kidding myself. Of course I thought long and hard before embarking on writing this memoir. But I thought I had it under control. I had an important story to tell. Not just about traumatic brain injury and drunk driving, but also about psychological wounds that are unapparent, the non-linear nature of recovery after trauma, and the disenfranchisement of certain types of grief. Of course I realized I would be opening up my family’s story to the world. But I realized it on an intellectual level. Knowing something in your head and knowing it with your gut are two very different things. And now here was a reporter. In my home. On my sofa. Delving deeply into my life. A life that I have readily offered up to the world. Julia Fox Garrison, a young stroke survivor who wrote a wonderful memoir called Don’t Leave me this Way, read an advanced copy of my book and loved it. “Now you are like me, an open book,” she told me. And so I am. I realize this now on a deep and abstruse level, a level unknown to me as I sat scrawling words longhand in spiral-bound books, then typing them into ten-point Courier font at my computer. I know it now keenly, as I did not know it then, when I hung over Neil’s shoulder as he read, awaiting his approval, and worrying that he was not fully aware of where this all would lead. I realize this now concretely, tangibly, as I sit on this sofa staring into the fresh inquisitive face. I am an open book. You can find Carolyn Roy-Bornstein on her website or on Twitter @CRoyBo.